In order to run a successful small business, it’s critical to realize that cash is no longer the most desired payment method. According to a study by TSYS, 75% of consumers list credit or debit cards as their preferred payment method. Without the ability to process credit card payments, your business could be losing thousands of dollars in potential revenue. To help retain and grow your customer base, it’s crucial that your business accepts credit cards. 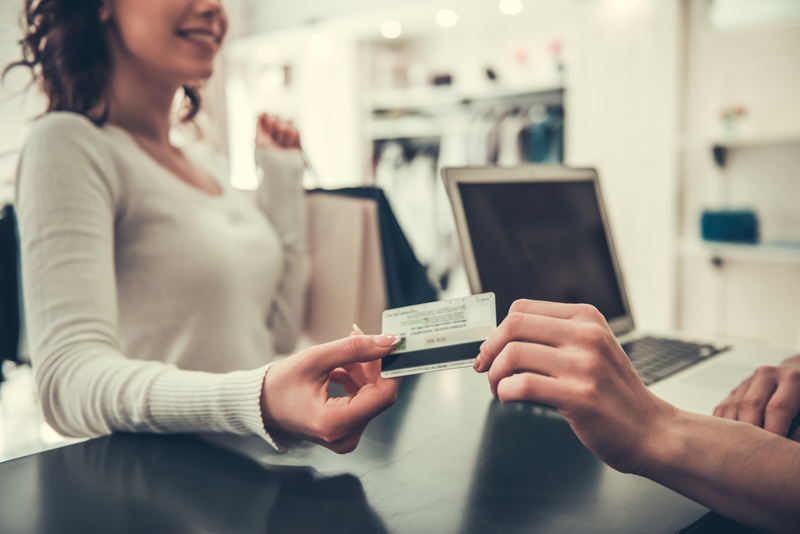 Consumers are likely to spend more money when they use a credit card, so it’s important to give them a convenient and efficient payment experience. Here’s a simple guide to help you begin accepting credit cards like a pro. Where will you accept payments? Decide where you’re going to accept payments: Online, over the phone, in-store, on a mobile device, or a combination of these. How will you do business with your customers? Card present: In-person transactions using a physical terminal, POS system, or mobile solution. Card not present: Transactions conducted online or over the phone. Choose an all-in-one payment processor, payment gateway, and software developer that can provide the tools you need to succeed. They should be your one-stop shop for all your payment needs. What about rates and fees? The interchange and assessment fees are composed of a flat rate plus a percentage of the transaction amount that goes to the bank that issues the card for each transaction; this fee is non-negotiable. The processor markup is the fee for your business’s merchant account and IS negotiable – the amount depends on transaction amount, type, and your company’s risk profile. This fee will vary between different providers, so shop around for the best rate. A merchant account is a type of business account that allows you to accept credit and debit card payments. They are typically set up through a payment processor. The processor should be knowledgeable enough to walk you through this process and make it as simple as possible. Look for flat rate processing options. Make sure to get $0 setup fees, $0 upgrade fees, and $0 maintenance fees. Find a processor that doesn’t require a contract. Ensure that you will get free, 24/7, in-house customer support. You should be able to get the help you need, exactly when you need it, without any long wait times. Is the payment experience automated? You may not have the time or expertise to set up a customized solution, so finding a solution that’s automated can save you time and money. Will the payment solution be able to meet the needs of your specific business and industry? Finding a provider that has experience with a variety of different business types ensures a flexible software solution that can grow with your company. Can your customers’ credit card data be stored securely? While payment fraud is possible, finding a provider that protects your data using tokenization and encryption technology can protect sensitive credit card information and keep your business PCI compliant. Does the payment processor offer software that will integrate with your current accounting system? Do they provide a cloud-based payment gateway? Are options for online invoicing, recurring billing, eCommerce payments, and mobile payments available? An all-in-one solution will help keep your costs to a minimum. Make your customers aware that you accept credit card payments. This is an online solution that allows you to process payments directly within your existing ERP/accounting software or eCommerce shopping cart to automate the payment process. Look for a cloud-based payment gateway that uses tokenization and encryption technology to maximize payment security for sensitive customer credit card data. A POS system is the desktop point of sale version of a payment gateway designed for retail merchants. It allows you to accept payments in your store or over the phone, directly from your desktop. A secure application that lets you accept payments on your smartphone or tablet, allowing you to manage payments and get paid on the go. An online invoicing portal that gives your customers the ability to view and pay their invoices online at their convenience from any location. Look for an online invoicing portal that can be tailored to your business–including your company logo and colors–and send payment reminders via email to your customers. The ability to set up recurring payments within your existing software. Automate recurring billing for your customers on terms. Integrate your recurring billing with your accounting software to automatically update invoices as paid. PCI compliance is required for any business, regardless of size or transaction volume, that accepts credit cards. PCI compliance lessens the liability for your business if a data breach occurs. Find a processor that provides PCI compliant credit card processing solutions to get secure card transactions for your business. These security measures ensure powerful defense against fraud and protect sensitive credit card data at every stage of the transaction process. Look for a processor that provides tokenization and encryption technology to guarantee that your sensitive credit card information is securely protected at all times. ACH processing securely converts paper checks into electronic payments at the point of sale and automatically deposits the funds directly into your bank account. Follow these tips to begin securely accepting credit cards like a pro. If you’ve chosen a great payment processor, this process should be simple and convenient and help your small business save time, reduce overall expenses, and increase cash flow.